If you need lawn mowing services in Stamford CT, you will find out that Red Carpet Landscaping is the company of choice, where everyone gets superior service, no matter how large or small. Once you try and use Red Carpet Landscaping for Stamford lawn mowing, you will learn why everyone is talking about us. You will learn that we are driven by our passion to make every property we service look the best. We have been helping home owners in and around Stamford from the beginning with lawn maintenance services. You will notice a vast improvement no matter how large or small your property is, no matter if you have bald spots all over. Experience the difference with Red Carpet Landscaping and have a healthier, and more lushes lawn. You might be saying to yourself that this kind of professionalism, and experience is expensive. The answer is no, we are not more expensive then other companies. Some companies try to make a lot from a few customers, while others make a little from a lot of customers. We are the second type of company. We do not overcharge you for any service and our customers stay with us because our level of service, as well as the experience behind the technicians at your property. We do not even require you to sign a contract! Yes, you read that correctly. No contracts to sign ever, and a great service for a even better price. After all, would you drive a brand new Mercedes or a old rust bucket if they cost the same amount of money, which one would you chose. Thankfully for you Red Carpet Landscaping provides lawn mowing and maintenance service to Stamford CT. You no longer need to Sacrifice quality to maintain a affordable price. To sign up for lawn mowing in Stamford CT, call us today at 203-212-2498 or send us an e-mail to customerservice@RedCarpetLandscaping.com. 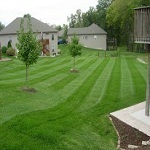 Within 24 hours we’ll provide a comprehensive lawn mowing estimate.